No one feels like cleaning during summer, especially on those particularly hot days when you just want to sit back and drink some cold lemonade or soak in the sun. However, maintaining a clean and healthy home is an important task all year round and summer is no exception. In fact, summer brings its own cleaning challenges that you need to prepare for, from cleaning off grass stains to dealing with dust. Fortunately, with the right cleaning approach, your home will be fresh and clean throughout the summer. Check out these summer cleaning tips that are easy to implement and maintain to ensure your home looks its best. During summer, we spend as much time outside as we do inside, so we do not always take our shoes off when going in. This is a problem especially with kids who are always running around, playing in the backyard and who then bring a ton of dirt into the home. All the more reason to enforce the no-shoe rule, preventing your children from filling your home with dust and dirt. This way, you will not have to clean your floors and rugs every few hours. However, unless you want to deal with a pile of shoes at your doors, make sure to have some type of shoe storage by the door, under the stairs, or in a keeping room to keep everyone’s shoes neatly arranged. Since summer brings hot, sometimes stuffy months, it is important that your home has a pleasant, open atmosphere, which means that you should keep it clutter-free. However, clutter can easily build up during summer. Dirty clothes, kids’ toys, shoes and unnecessary items get tossed aside and may remain in the same spot for days because it is too hot to deal with them at that particular moment. It is essential that you prevent clutter from building up in the first place to maintain an organized environment. Therefore, you should take some time to declutter your home and get rid of unnecessary items that sit around your home collecting dust or have no purpose. It might take you some time to sort out your belongings, but once you have completed this dreary task, you home will seem more open and airy. Afterwards, you just need to maintain a clutter-free home by dealing with clutter as soon as it occurs. Summer means lying in the grass and soaking in the sun, sprucing up your lovely garden, rolling around with your goofy dog, and playing with your kids. However, summer also means stubborn grass stains on your summer clothes. Once chlorophyll, a substance found in grass and other plants, sets in your clothes, it can be very difficult to remove, so you need to deal with grass-stains as soon as you notice them. Firstly, you should remove any grass and dirt debris from your clothes. Afterwards, apply a pre-wash solution made of two parts water and one-part white vinegar and let it sit for five minutes. Grab a toothbrush or a cloth and gently scrub the grass stain. Finally, wash the clothes in the washing machine and bid the stain goodbye! Although leather is quite a low-maintenance material, you should still make sure that it remains in a great condition. Since leather is a delicate and porous, dirt can easily settle in and make your leather furniture brittle. After playing for hours outside, your kids may sit on your leather sofa and cover it with dirt. In such a case, it is important that you clean it right away. However, if cleaned improperly, leather can easily get ruined, especially if you do not use the right cleaning products. In many instances, it is a good idea to clean leather with a vacuum and tough but safe cleaning products that can clean leather properly without damaging it. Furthermore, professional leather cleaning also entails the application of pre-treatments and eco-friendly products that are safe for a family, material itself, and the environment. Thus, if you are not sure how to clean your leather properly, you can always seek help from the experts. Due to high summer temperature, food and leftovers turn bad more quickly and the sink and trash start smelling unpleasantly very quickly. Before you know it, your kitchen can get filled with odors that can spread throughout your home. Fortunately, there are several ways to keep your dream kitchen fresh and odor-free. You should mix a quarter cup of bleach and a gallon of water and soak your sponges and dishcloths in this solution for five minutes every day. Afterwards, you should rinse them and they will be smell and bacteria free. When it comes to your trash cans, you should wash them with bleach and then sprinkle some baking soda at the bottom. You should also put some old newspapers at the bottom before placing in a trash bag. Not only will this neutralize the smell, but it will also absorb any leaks from the trash. A stuffy home during those scorching summer months is not only unpleasant but unhealthy, too. Such conditions can be a perfect breeding ground for fungi, mold, and other bacteria that can endanger your health. Also, if you routinely keep your windows open, allergens, such as pollen and dust, can get in, which may trigger allergic reactions in you and your family members. All of this can significantly decrease your indoor air quality and increase the levels of indoor pollution. That is why you need to make sure that your home is filled with fresh, healthy air. First of all, your home should have the right ventilation system that will keep it cool and pleasant. However, you need to be aware that mold remains in the air because it is a component of dust. That is why it can be a great investment to add a top rated air purifier for mold spores and mildew to increase your indoor air quality. Make sure to check air filters every once in a while and replace them regularly. You should also introduce plants, such as snake or spider plant, that act as great natural air purifiers. All of this will enable you to fill your home with fresh, healthy and cool air during those hot summer months. As the sun illuminates your windows, you will notice every single smudge on the glass. Luckily, there is a simple way to get your windows clean and let natural light permeate your home. You should make a cleaning solution using quarter cup of vinegar, half a cup of liquid soap and two cups of water and then pour it into a squirt bottle. Spritz the windows with the cleaning solution and let it sit for 30 seconds. Afterwards, use some old newspaper to rub the solution into the glass using a circular and then horizontal stroke. Once the solution has dissipated, your windows will be sparkling clean. If you have blinds, you will also be able to notice almost every particle of dust in the sun, so make sure to clean them, too. For this task, you need a mixture of water and vinegar in equal parts and some old socks. Then, put a sock over your hand, dip it into the solution and clean your blinds, using the other sock to dry away the moisture. Although you may have implemented the no-shoe rule in your home, your kids may still sneak in with shoes from time to time. Even if they do not, dirt and dust will still settle in on your flooring, so you need to clean them properly and regularly. However, keep in mind that different flooring materials require the application of different cleaning products. All of the floor surfaces should be mopped with a cotton cloth and an appropriate cleaning solution. For example, wood and laminate floors should be cleaned with a solution made of 30 parts water and one-part distilled vinegar. On the other hand, stone and tile should be cleaned only with hot water because vinegar and other cleaners may damage the finishes. When it comes to linoleum and vinyl floors, you should mix half a teaspoon of all-purpose cleaner with one tablespoon of baby shampoo and a gallon of water. Afterwards, add half a cup of white vinegar that does not contain petroleum-based ingredients and then mop the floors. Since you will probably spend most of your summer in your beautiful garden and outdoor entertainment area, you can expect a lot of stains, spills and dirt on your outdoor furniture. It is important that you spot clean all of your outdoor materials and remove stains right away. However, make sure to apply the right cleaning approach depending on the type of fabric and materials. Otherwise, you may damage your materials or fail to remove the stain. It is always convenient to keep a hose nearby to quickly wash off any dirt or spills as soon as they occur. If you have metal furniture, you should keep your eyes open for rust. As soon as you notice rust, sand it down and rinse it off as many times as needed to remove it completely and prevent it from spreading. You can then paint or refinish the furniture to ensure it lasts for years. With these simple cleaning tips, you will make sure that your home is healthy, clean, and organized throughout the summer. It is important to have fun and enjoy your home. That can be made more pleasant by following these summer cleaning tips. Once done, all that is left is to enjoy the pleasant and fresh home environment whether you are outside enjoying the weather or inside having fun in your home. Anita Clark has written 603 posts on this blog. 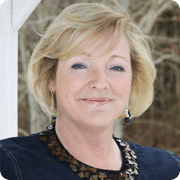 by Anita Clark Anita is a residential Real Estate Agent in Warner Robins Georgia, with Coldwell Banker SSK Realtors (478) 953-8595, aiding buyers and sellers with all their real estate questions on her Warner Robins blog. 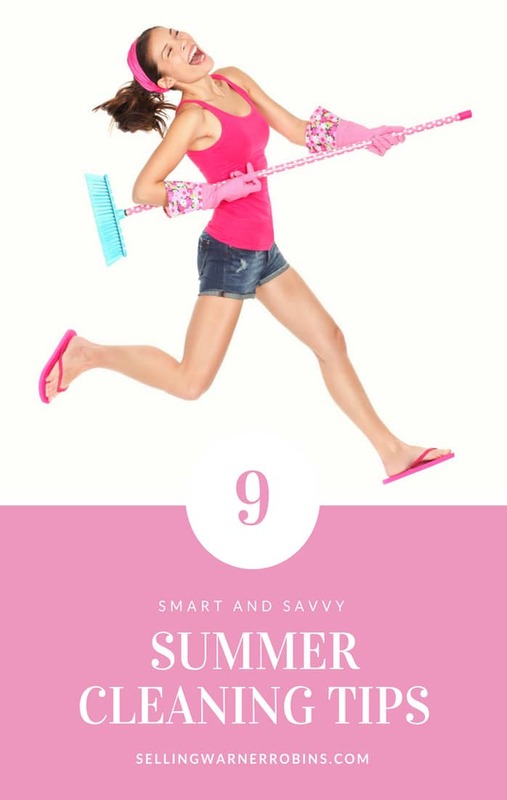 Excellent summer cleaning tips Anita, and I have been implementing some of these myself and find myself enjoying my house more! Wonderful post and thank you for sharing. The no shoe policy is strict at my home and I never regret it for a second.